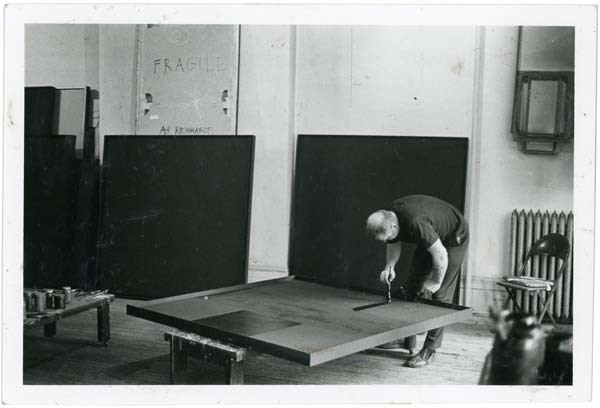 It has been said of both Steven Parrino and Ad Reinhardt, two powerhouses of the Black Monochrome, that upon a work’s return to the studio from an exhibition it could be subjected to a painting over, an “editing” (in the case of Parrino), or “conservation” (in the case of Reinhardt). Whether to correct the pristine black surface of the painting, or negate its history through obfuscation, both artists returned to the source object, the original matter at hand, in order to further refine it as a whole, rather than recreate it as another work. This year’s Drawing Subscription Errata pays homage to the same kind of reinvention, reclassification, and re-contextualization that comes from going back to explore what has already been put out into the world, taking liberty of the opportunity to demand a little more of an object, no matter how minute or nuanced the final alteration. Come with us as we push against the edges of the modern canon and bring the black monochrome into the 21st century. This entry was posted on November 1, 2015 at 11:52 AM and is filed under 2016, Errata. You can follow any responses to this entry through the RSS 2.0 feed. You can leave a response, or trackback from your own site.